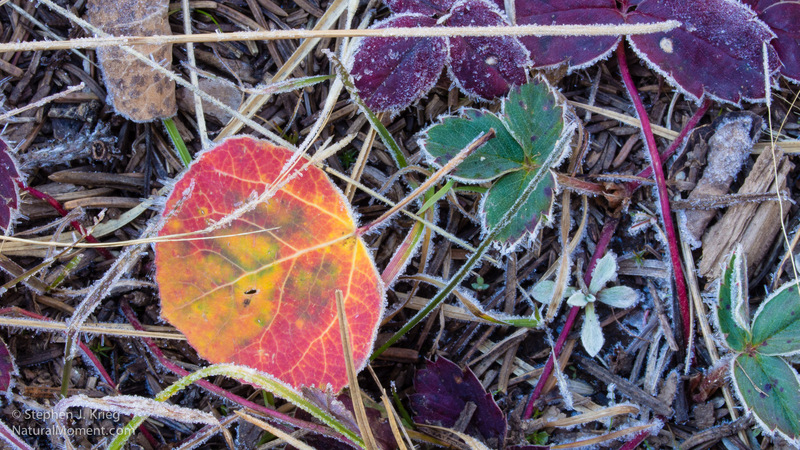 Frosty fallen red quaking aspen leaf, Kaibab National Forest. 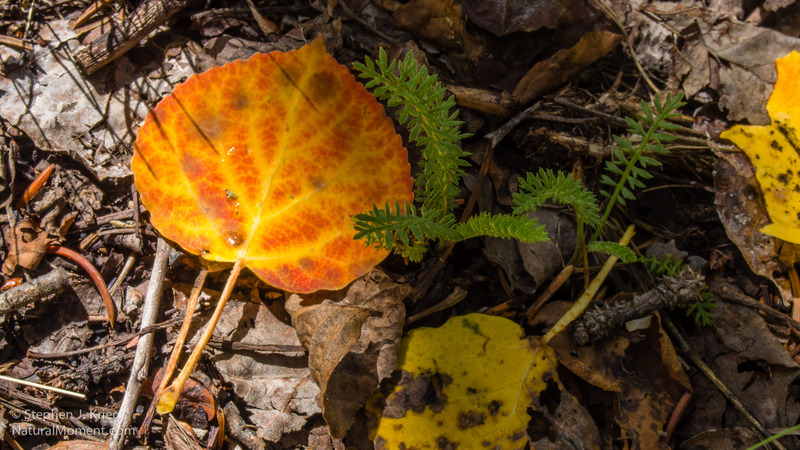 And the last aspen leaf has fallen up on the Kaibab Plateau near the North Rim of Grand Canyon. No, I’m not claiming this one was the very last one. But they were all down last week, except for a few isolated late colors. Another autumn over with, up that high (8,000 to 9,000 feet in elevation). 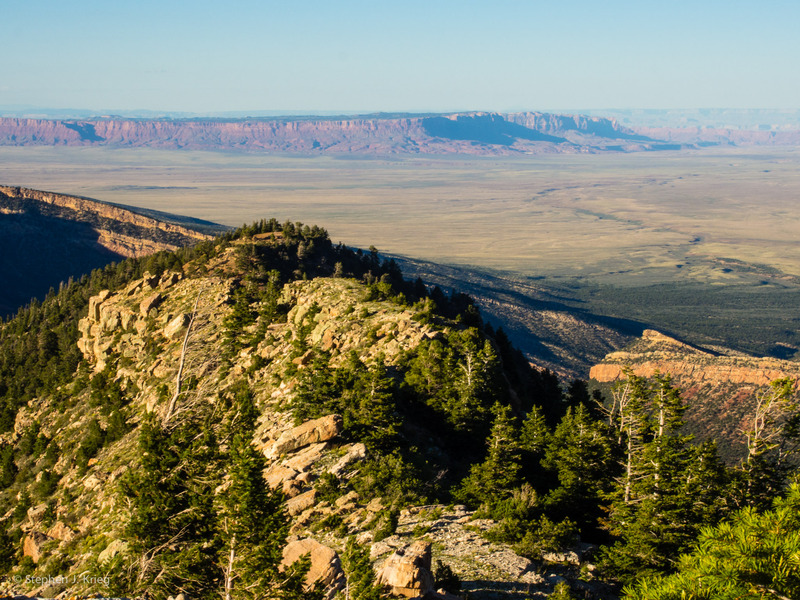 Autumn continues its slow but gradual progression up on the Kaibab Plateau on the northern Arizona Strip. Warm, shortening days along with cool nights still free of frost or an early snow are doing the job. Those conditions tell the aspen trees that there is no hurry to drop leaves. A gradual lessening of the green chlorophyll in their leaves reveals the other colors, especially yellow and gold, sometimes orange and red. 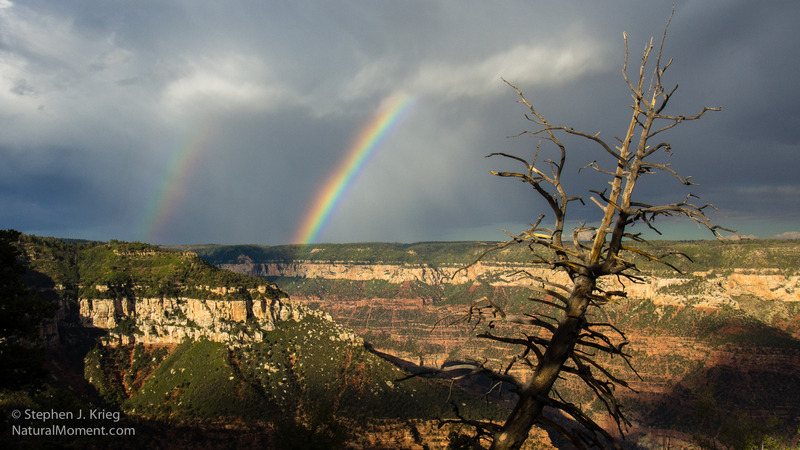 I was slowly cruising through the Kaibab National Forest between Jacob Lake and the North Rim of Grand Canyon, looking for the earliest colors. In the morning light I was able to get close to some lower branches with outstanding colors. The Still green foliage of the other trees behind it served as a rich background to contrast with, along with the clear blue sky. Autumn gold, blue skies, warm sunlight, chilly nights. The best time of year. 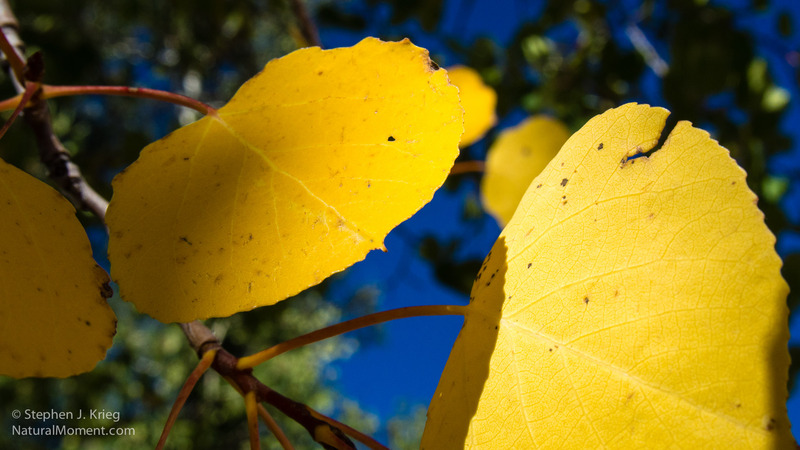 Aspen leaves in morning sun, northern Arizona.